David Walker (57) made his own energy transition in his career. Having started as a geologist for oil company Amoco, he went on to become President of the petroleum operations in the North Sea, North Africa, Middle East and Australia of the Australian mining conglomerate BHP Billiton. In 2007 he joined DNV to further develop the Norwegian company’s energy business, which at that time consisted of a mix of renewable energy and oil and gas activities. 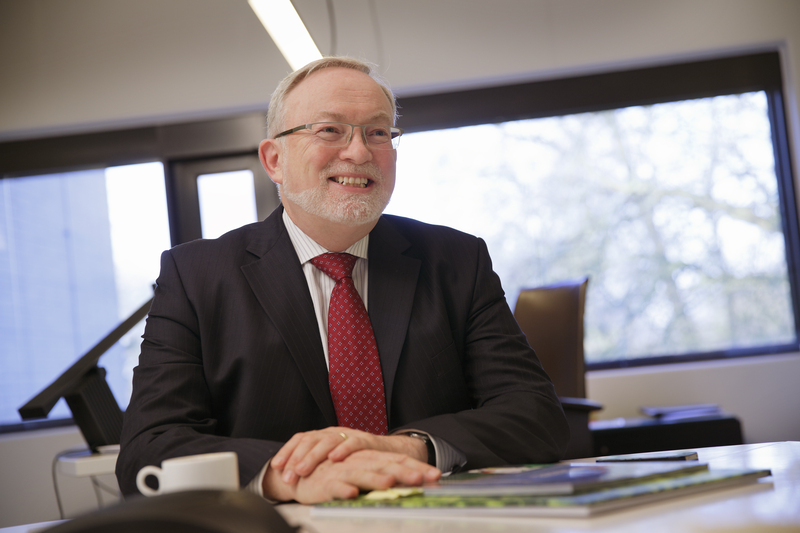 Last year, he became CEO of DNV GL – Energy, which he says is the “largest renewable and energy efficiency consultancy in the world” with 3,000 energy experts globally. Oil & Gas is now a separate business unit within DNV-GL. When it comes to retrofitting for energy efficiency in existing buildings , in addition to the problem of split incentives (e.g. between owners and tenants of buildings), Walker notes that some new technologies are still “quite expensive”. “It’s very important that we continually drive down costs.” The same applies to some forms of renewable energy. The cost of solar PV has dropped “dramatically”, says Walker, but for example offshore wind, in which DNV GL is active, is still “very expensive”. On 12 September last year, DNV (Det Norske Veritas) of Norway– which in December 2011 had acquired the Dutch consultancy and certification company KEMA – merged with GL (Germanischer Lloyd) of Germany to form DNV GL. This is now in its own words “the world’s largest ship and offshore classification society, the leading technical advisor to the global oil and gas industry, and a leading expert for the energy value chain including renewables and energy efficiency.” The Oslo-based group, led by CEO Henrik O. Madsen, is also one of the top three certification bodies in the world. It operates in more than 100 countries with 16,000 employees. It has four major business units: Maritime, Oil and Gas, Energy and Business Assurance. The Energy division is based in Arnhem, The Netherlands and is led by David Walker.